NERM is a major undertaking, being planned and co-ordinated by BFSA students in addition to their ongoing studies and who are seeking help to cover the running costs expected to exceed £25,000. 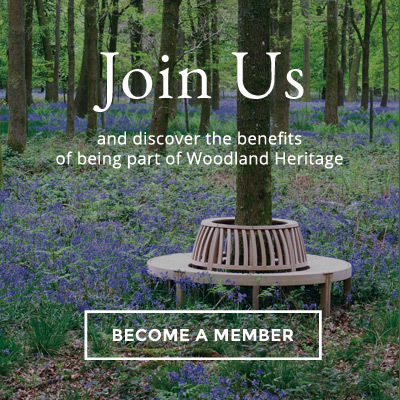 Thanks though to sponsorship from BSW and a grant from the Henry C Hoare Charitable Trust, together with fees from delegates, almost £20,000 is expected to be raised and with help from Woodland Heritage, the last £6,000 is now actively being sought. This is the BFSA’s opportunity to showcase the UK and promote UK forestry through the NERM. This would be the first time NERM has ever come to the UK and to add to that homecoming, it was Bangor Forestry students who founded IFSA in the first place. IFSA is what connects forestry students on a worldwide spectrum and it also represents future foresters and provides access to international research, networking opportunities and a professional framework. The NERM will be attended by approximately 70 student delegates from all over Northern Europe and the UK, with confirmed attendance from students in Germany, Estonia, Finland and Slovakia. Delegates are expected from almost every local committee in Northern Europe and will in future work for some of the biggest national and international forestry companies, organisations and academic institutions. The seven-day forestry festival will include visits to forests in North Wales such as Newborough, Treborth Botanical Gardens and Gwydir. There will also be a visit to a commercial working woodland with Tilhill for an interesting insight into some of the UK’s cutting-edge commercial woodlands. “NERM also aims to enable IFSA students with limited resources to access some of the UK’s globally recognised forestry academics’ expertise and advance their understanding of the limitations and achievements of UK forestry, so offers of help towards the costs of some of the individuals attending would be a terrific boost”, said Mr Roe. For more information on how to get involved with NERM, please contact Peter Roe at afub06@bangor.ac.uk, or Woodland Heritage at mywoodlandheritage@gmail.com.